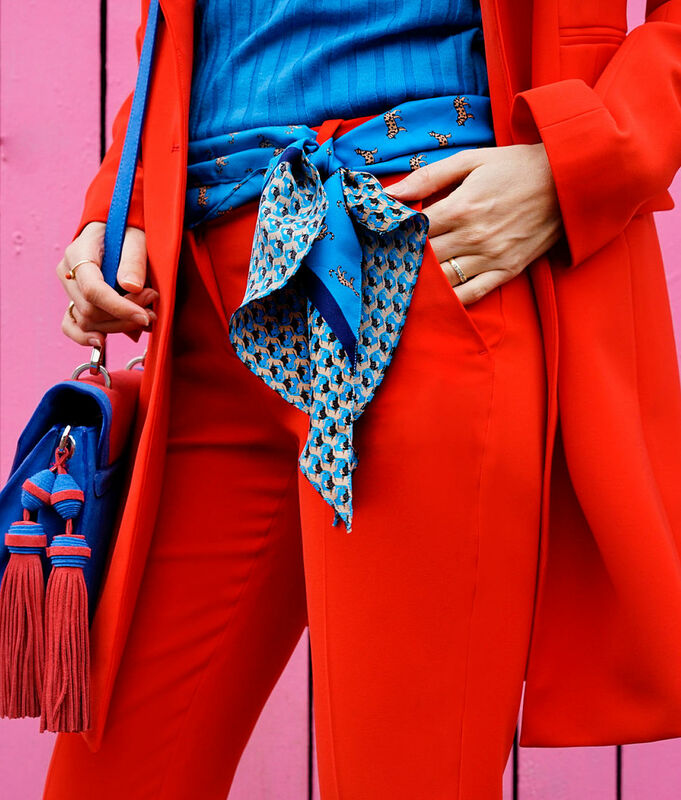 Feminine and colourful: that’s what Sandra Kleine Staarman’s looks are, which she shows on her blog and on her Instagram feed of the same name. Sandra, who lives in Rotterdam, loves modern classics. That's what the name of her blog also stands for: morestylethanfashion. Her colour blocking combination of a long red blazer and matching trousers made of light microfibre also has a lot of style. The elegant blazer, with coloured logo buttons in double row, is a timeless “it” piece that can be combined in many ways. With it, Sandra styles a narrowly cut sweater with wide ribs in radiant blue. The perfect accompaniment: the elegant, two-coloured bag, made of fine calf velour.